In a recent post we talked about some of the most important indicators to consider when you measure the success of your website. But what are the best SEO tools to use when you do that? There are plenty of instruments out there that can help you not only measure the success of your site, but also to plan your content and future activities. Google Analytics is definitely the most used and widespread instrument for tracking website statistics. With this powerful tool you can see almost every type of statistics about a website you could think of – sessions, unique visitors, ranking on different keywords and much more. How to use it? In order to use Google Analytics you will need to set up a tracking code to your site. You can access that code from your your Analytics Accounts after you create one. Something to take into consideration beforehand – you will need access to your website’s code through a Content Management System (CMS). And if don’t have any programming skills, it’s probably a good idea to ask a web developer to do it for you. The good news – with Oxxy adding a tracking code is much easier. Just copy the tracking code in the relevant field in our editor. You don’t need to worry about putting it on the right place in your code, we do it for you. The two most popular search engines offer similar tools for webmasters – Google Webmasters Tools and Bing Webmasters Tools. Both instruments are very important for site owners as they give tons of statistics and overview on what is going on on their pages. Users can access information, such as how many pages cannot be crawled by the search engines, are there any broken links on the site and much more. And one important thing everyone should know – there is a significant difference between Google Webmasters Tool and Google Analytics. Analytics gives you statistics about your website’s traffic and Webmasters Tools gives you information about your site itself, I.e it let’s you see your site the way search engines see it. How to use it? The first thing to do is create an account in Google Webmasters Tool and in Bing Webmasters Tools. Then you need to add your site in both instruments. The final thing is to verify your site. There are several options for verifying a site that both tools offer – uploading a file to your web server, adding a new DNS record or adding a new meta tag in you site HTML code. When preparing your keyword strategy, you cannot miss this SEO tool. The Keyword Planner, part of Google AdWords, helps you find out what is the monthly search volume of each keyword and gives you suggestions about new keywords to rank for. How to use it? You will need to set up an AdWords account. Then go to Instruments and choose the Keyword planner. 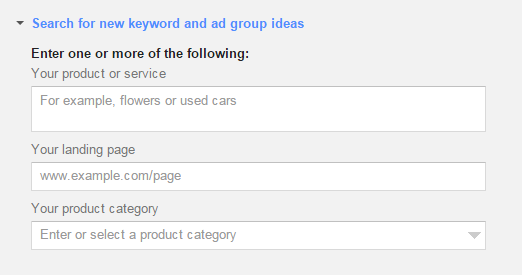 Tip: If your are an Oxxy user, its highly recommended to enter your keywords in our SEO Options menu. Another Google tool that can help your keyword strategy. Enter keywords and see how their search volume changes over time. Google Trends does not provide exact numbers, but its perfect if you want to find certain patterns or compare several terms. How to use it? 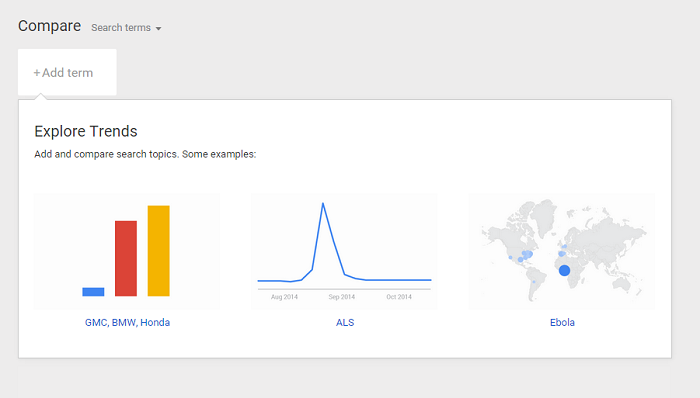 Just go to to the Google Trends homepage and enter the keywords you want to examine. 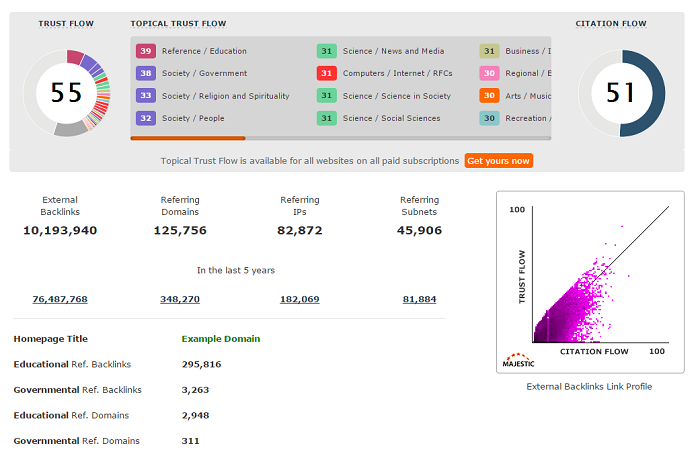 This tool enables you to analyse your website in terms of Search Engine Optimization. The SEO Spider Tool gives you plenty of information about your on-site optimization, such as missing meta descriptions, missing headings, duplicate pages, URL issues and much more. How to uise it? To use this tool you will need to download it and install it on your computer. The SEO Spider Tool comes can be used for free, but for 99 dollars per year you get the paid version that comes with more enhanced functions. Majestic SEO is one of the best SEO tools available for link analysis. You have access to bunch of stats and features, such as collection of all the anchor texts of your links, reclaiming removed links, top backlinks and others. Some of the features are only available to premium subscribers and the prices start from 39,99 per month. How to use it? You will need to create an account and then you will be able to track all statistics you need from your control panel. One of the best places to look for good SEO features, tips, statistics and much more is Moz. Their Open Site Explorer is another great tool for link analysis. Use it to track data about backlinks, anchor texts, popularity of links and others. How to use it? The Open Site Explorer is a web based service and you just need to enter you site’s URL and started looking over plenty of statistics. To use its more advanced features you will need to subscribe to Moz. Indeed one of the best SEO tools out there. The MozBar gives information about a website’s domain authority, page authority, backlinks, on-page optimization and much more. The best thing about it – you have access to tons of statistics just in your browser while you surf the intenet. How to use it? You can download and install the MozBar as an extension for Chrome or a an add-on for Firefox. No registration is required to use its basic functions. Many site owners use Bitly only for shortening links, but its an essential tool for everybody who wants to track their links. Bitly gives tons of statistics for each shortened link, such as number of clicks, shares, who shared the link, where do the clicks come from and other. How to use it? Although you can shorten and share links without creating a registration, it’s a good idea to register an account if you wish to track statistics about your bitlinks. Want to create the perfect website for you? Why not start now.